Harnessing tried-and-true sound absorbing materials, our sound barrier walls (or noise barrier walls) are designed to block high noise levels from indoor or outdoor machinery and equipment. 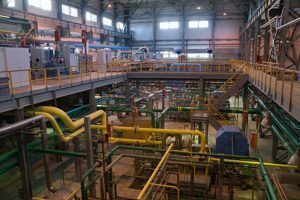 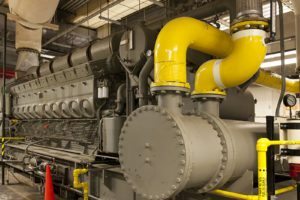 Indoor sources may include air compressors, turret presses, punch presses, and many others, while outdoor sources—which can severely impact the surrounding community—include electrical transformers, dust collectors, cooling towers, and chiller units. 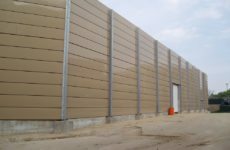 Sound barrier walls exhibit excellent field and laboratory tested noise absorption and transmission loss (used for 125 Hz insertion loss up to 10 dB; STC-30 to STC-33 and NRC 1.00 to NRC 1.05), and can be designed with absorptive surfaces on one or both sides. 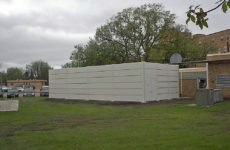 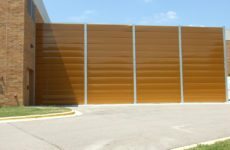 We’re also able to build noise barrier walls that match your sbuilding’s original design. 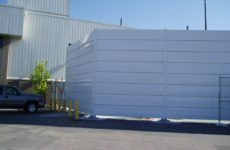 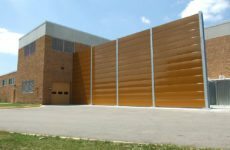 Every 5-inch thick modular noise barrier wall is dual-coated with galvanized steel or aluminum and is engineered to meet wind loads as required by code (our noise barrier walls can withstand wind speeds of up to 110 mph), making each noise barrier highly abuse resistant. 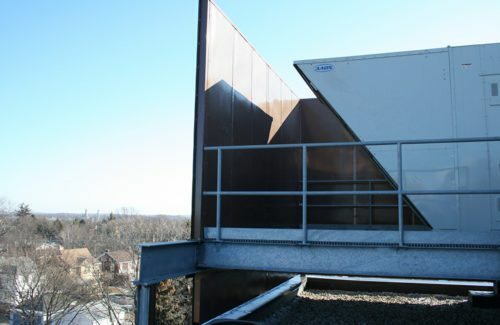 This rugged construction makes them ideal for either ground-level or roof-mounted outdoor applications. Each sound barrier wall is engineered from the foundation up for structural and acoustical integrity and economical installation. 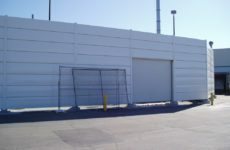 Low-weight slats easily stack between posts to achieve required wall heights and are able to span supports of up to 20 feet (depending on local codes and wind-speeds). 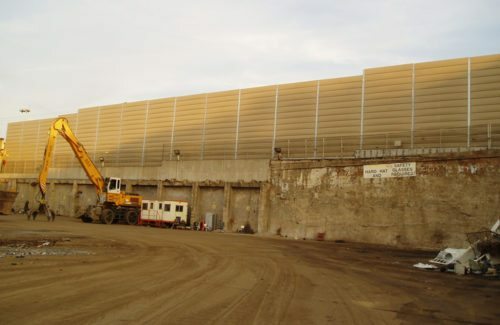 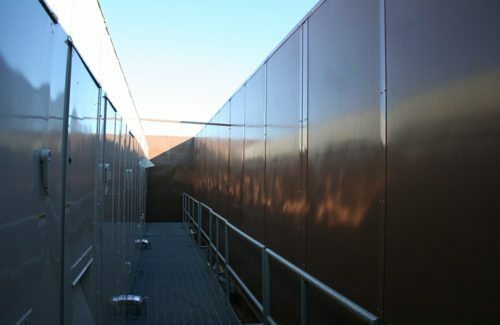 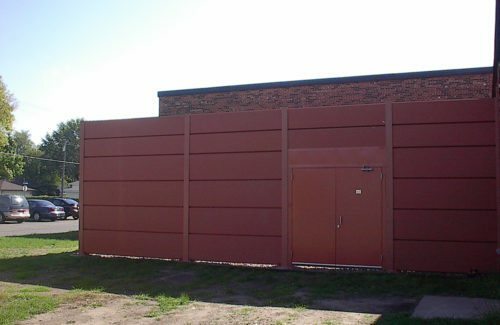 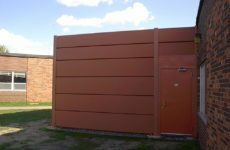 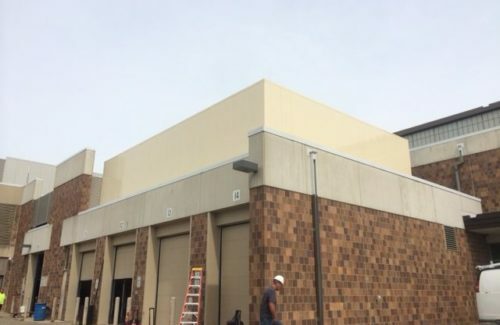 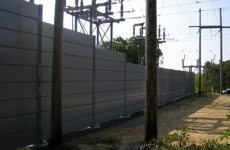 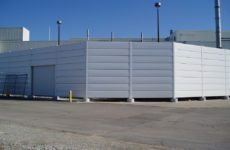 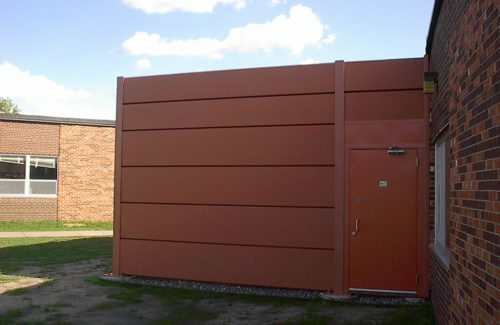 Sound barrier wall panels can be installed horizontally or vertically to satisfy aesthetic and architectural considerations and are finished with a tough, thermosetting, polyester powder coating, which cannot be damaged by the harsh cleaning chemicals typically used to remove spray-paint graffiti. 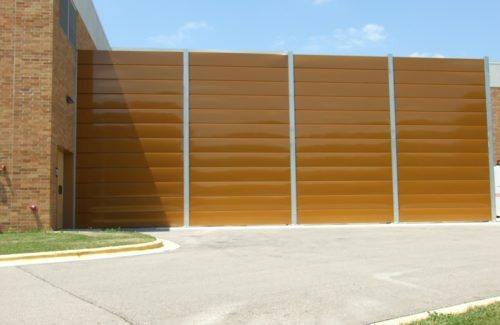 A wide variety of standard colors allow complementary decorative schemes and attractive designs to reduce apparent wall height as perceived by the community. 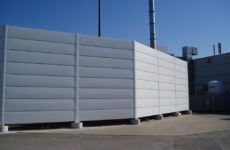 All steel and aluminum sound barriers are constructed with solid-top surfaces to limit water infusion and perforated bottoms to release any trapped water. 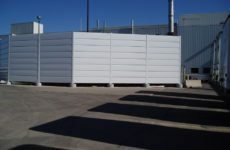 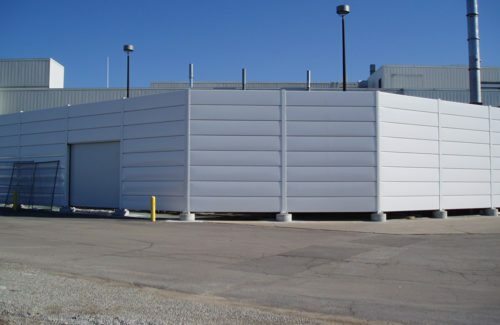 “Type C” panels are designed to encase existing non-absorbing barriers to transform them into effective sound barrier walls, while “Type FS” and “Type SFS” panels are used for freestanding noise barrier walls that reduce sound transmission and increase noise absorption ratings. 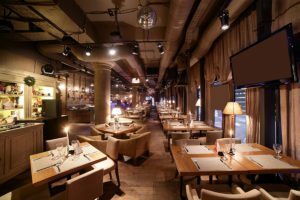 Noise control products and soundproofing for hotels, restaurants & other hospitality facilities is critical for keeping guests, employees and neighbors comfortable & happy.